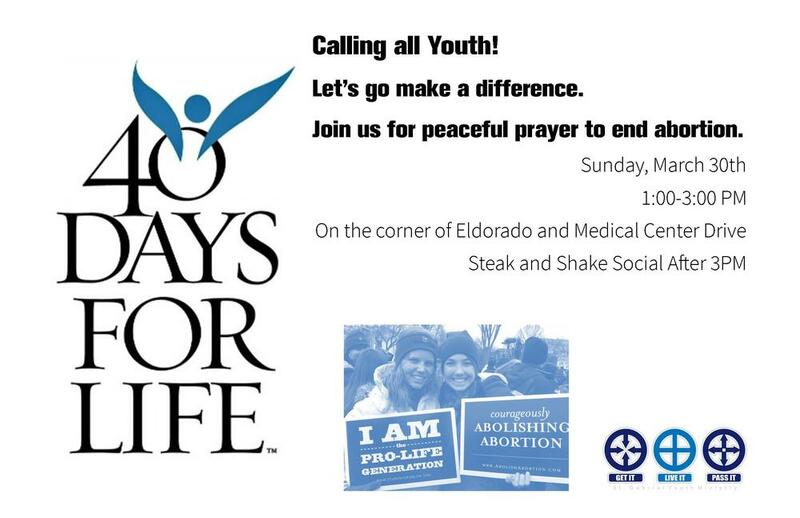 Youth (and their families) are invited to pray with us at the McKinney 40 Days for Life. We will pray from 1-3PM at the corner of Eldorado and Medical Center Drive. Afterwards, we will go to Steak and Shake to celebrate. Youth should bring money for Steak and Shake. Please register below or bring the completed permission slip. ADULT CHAPERONES ARE NEEDED. Please contact Lori Miller if you are able to help.